A multi-action facial scrub and mask for all skin types – including unpredictable, easily-sensitized skin – with natural spherical jojoba beads in a nutritive, toxin-removing clay-based creme. 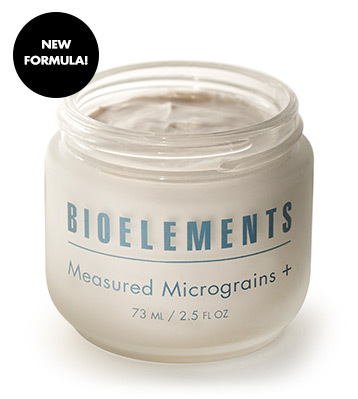 A complete skin workout from warm-up to cool-down, this new, next-generation Measured Micrograins formula exfoliates, controls oil, strengthens, then calms skin. Known pore-refining and oil-balancing ingredients plus an invigorating, strengthening blend of plant extracts and essential oils leave skin with a refreshingly cool physiological sensation.